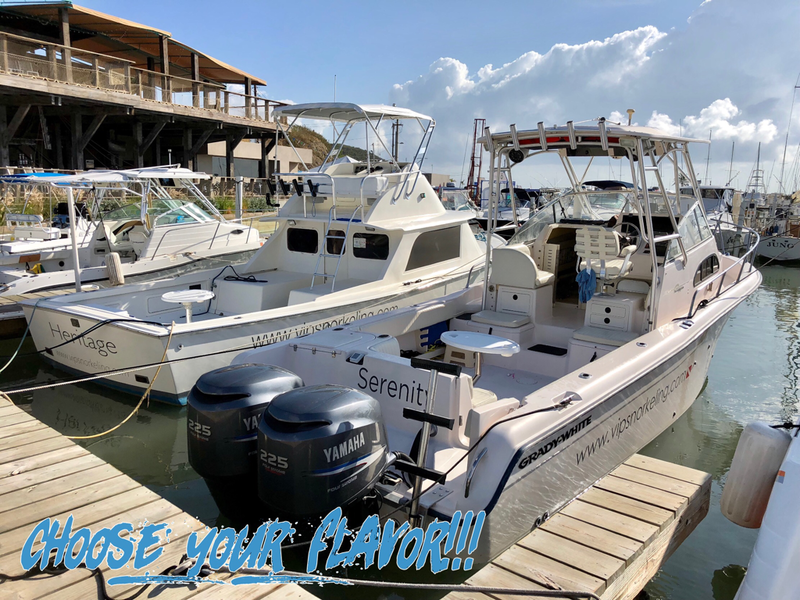 Serenity II finally joins her twin sister for service, and best of all, sporting BRAND NEW engines! 11/1/18: New Serenity II COMING SOON!! 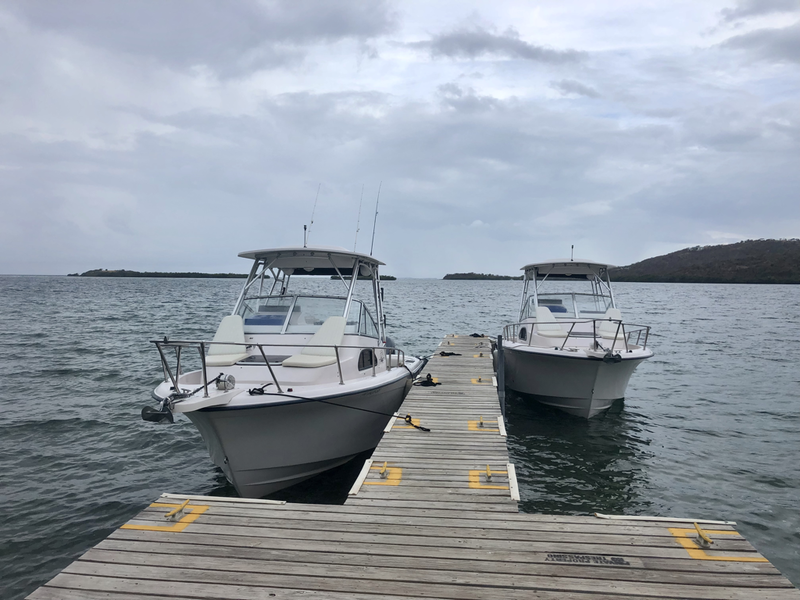 Since we’re getting ready for our additional “take you anywhere on the east coast” permits, and since the newly acquired 28’ Grady White “SERENITY” has been such a big hit among our guests, we just figured why not get another, same exact one and have another “twin scenario” like before, wit the twin Cobalts?? Well, we found one! She showed up in Miami, went through the process of shipping it here, and here she is on the making! Our beautiful, newly acquired, SECOND, 28’ Grady White!!! 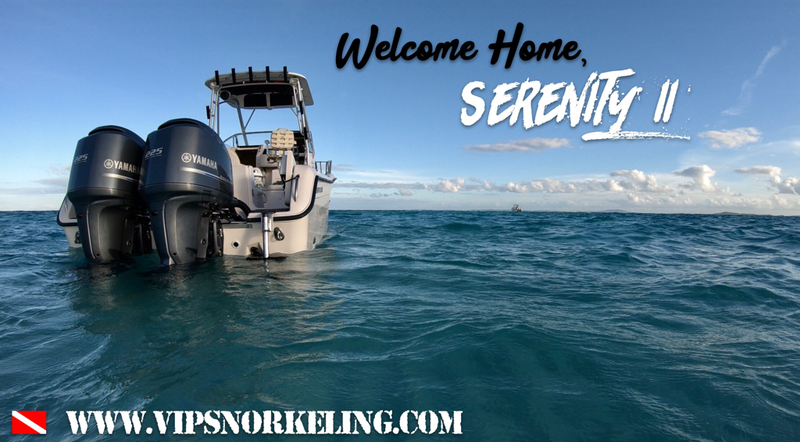 This one will replace the SERENITY II real soon and we could not be more excited!!! 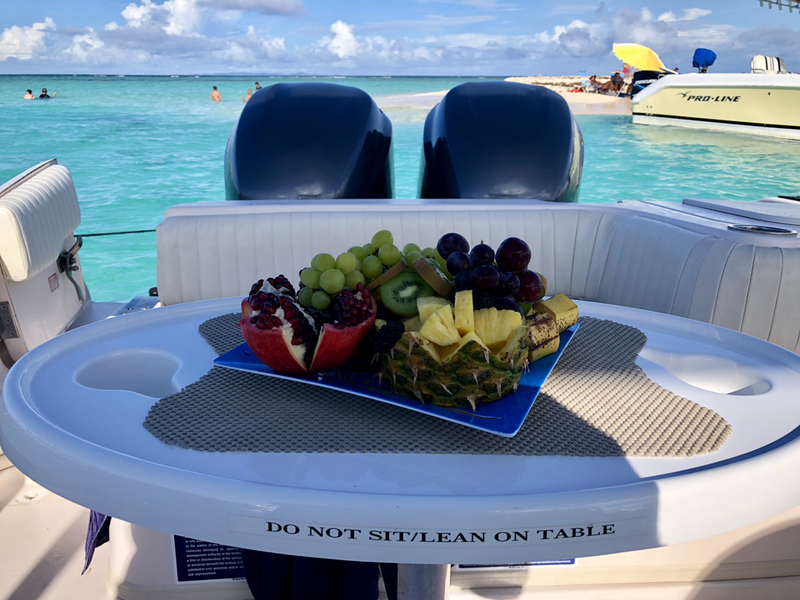 Choose your transport to paradise! BERTRAM 31 or GRADY WHITE 28!! All up and running, ready for service! Our newly acquired “SERENITY” Grady White now with permits and up and running for service!!! Come ride this very exciting, beautiful new addition to our fleet!! Everything up and running now. 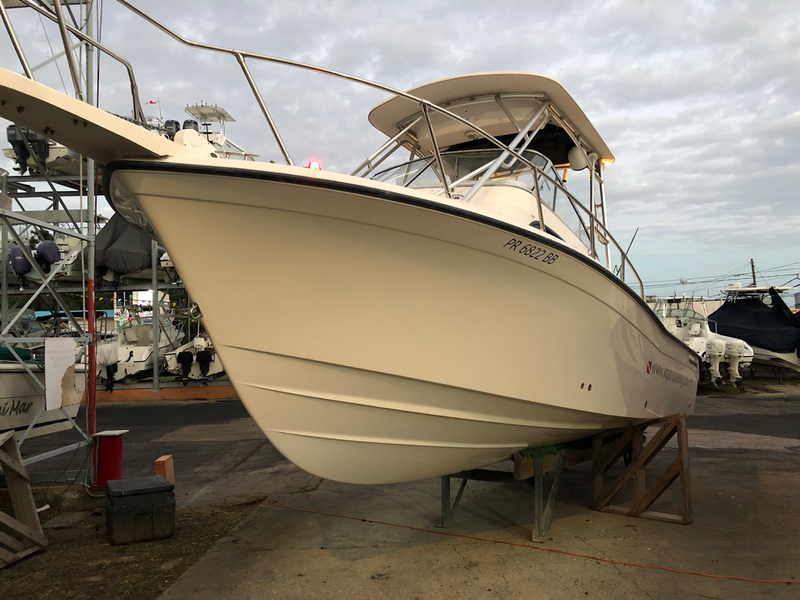 COBALT 25’ “Serenity II” ready. 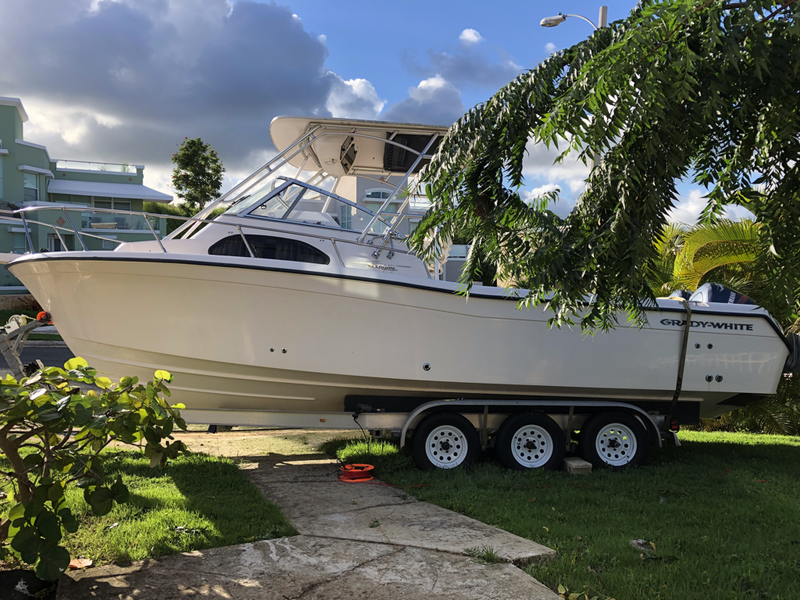 New BERTRAM 31’ “HERITAGE” ready. And introducing the rebirth of our beloved original “SERENITY”. 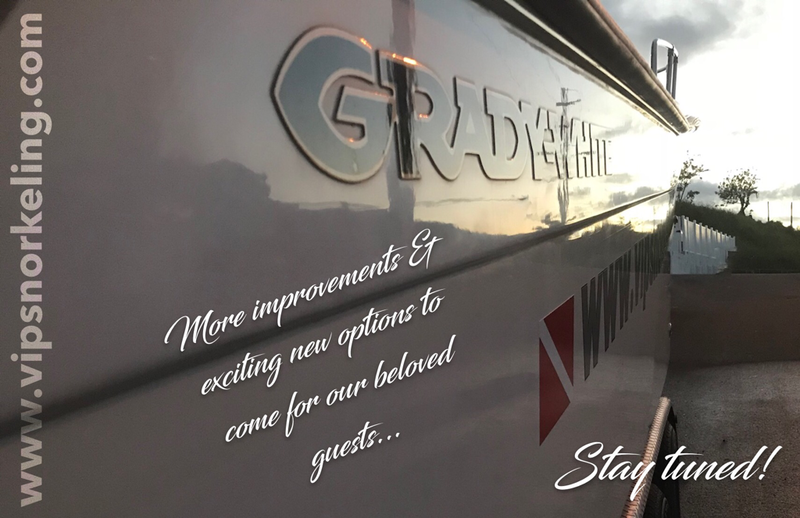 Coming back to life now in the form of a beautiful, extremely seaworthy 28’ GRADY WHITE!! 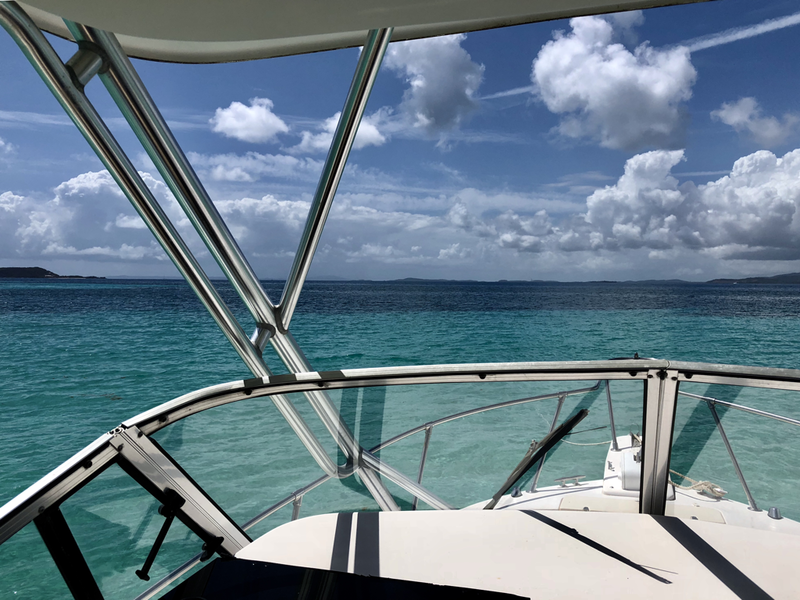 This one (the 28’ SERENITY) still needs a bit of work and it’s permits, but more news on this exciting new addition to our fleet very soon! 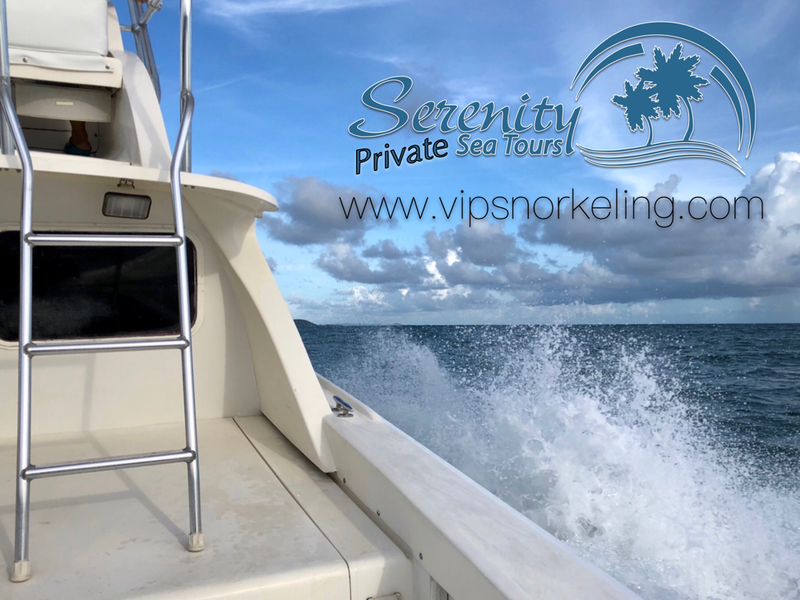 Serenity Sea Tours is now up and running with all the amenities. Even ice! Still doing some final touches on our new “Hertitage” Bertram 31, but our 25’ COBALT “Serenity II” is ready to go. Both boats will definitely be ready for Xmas. Many other improvements also coming! OK Folks! 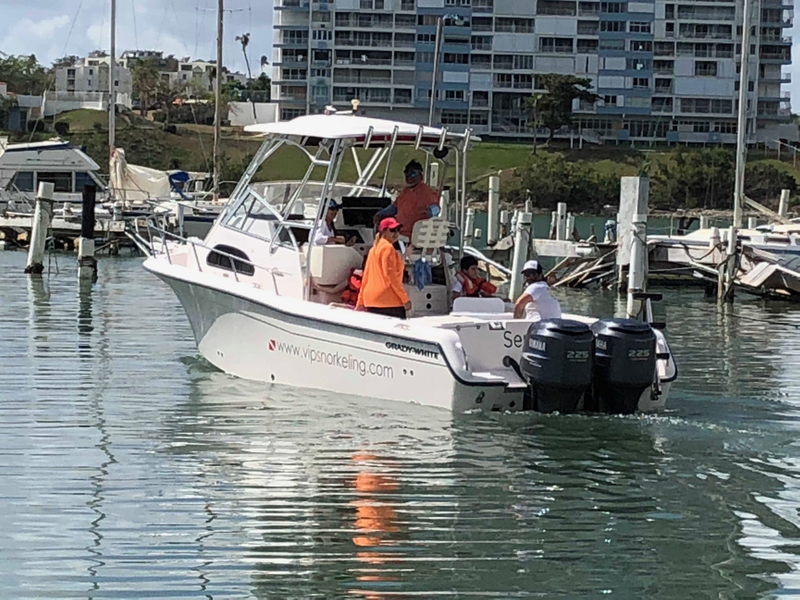 Our office and the marina are now up and running with power, water, fuel and internet for you convenience! Feel free to send us an email or contact us as usual, through our phone, Facebook or Instagram pages. We are up and running and with a few upgrades which we think you’ll absolutely LOVE (sneak peak below), to be announced very soon! Credit card machine also finally working.